Moss did an incredible job in designing propaganda posters for the Captain America movie. I mean, I'd vote for the guy, and I don't even know what he's running for. President or judge or something like that, I think. 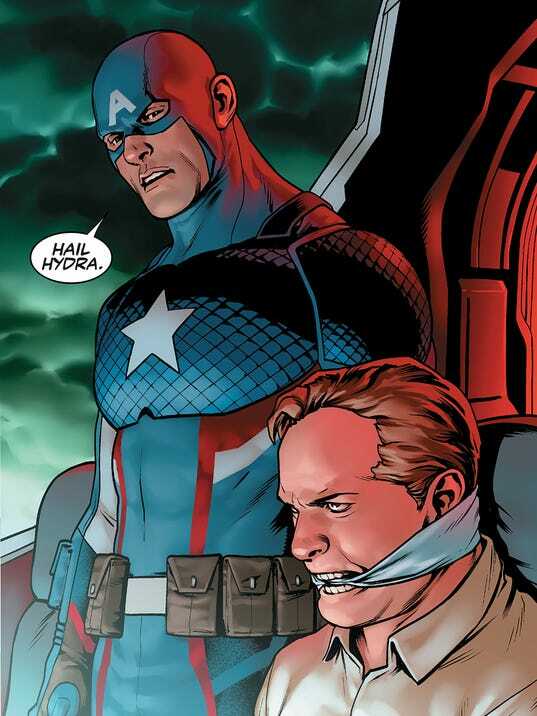 Based on this Captain America comic spoiler making the rounds right now. Punisher reacts to the Hydra thing.